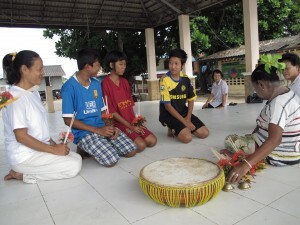 Three senior youths from Bang Soi and Ban Triem village led 14 junior youths from Ta PaeYoi and Ban Tale Nok on an interactive learning adventure by visiting different youth groups in the Andaman Region. The focus was to promote the exchange of knowledge and experiences that the youth have undertaken throughout the year. The first stop was Pa Klok village where the youth learned about mangrove and sea grass conservation from local experts. The youth in Pa Klok are experienced in media production and shared information they have gained throughout the year. Then, the students headed to Koh Sirea, Tukkae Cape, Puket where they learned traditional Moken dance from Mae Jue, who is known as “the teacher mother of the Andaman.” She teaches youth the technique of traditional Moken dance so that future generations can know and understand this element of Moken culture. 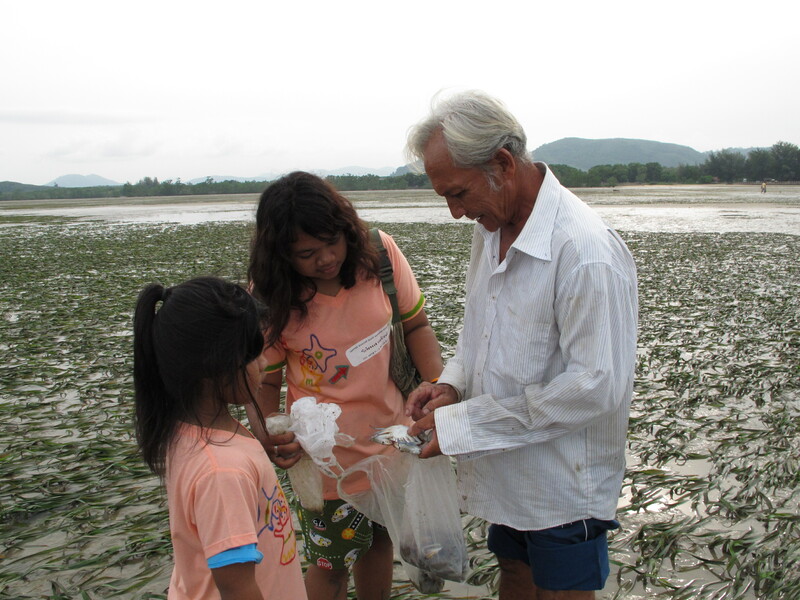 The next adventure was in Klong Prasong, Krabi where the students met a youth group who performed narrative stories. They exchanged experiences about how they work in their village and how they got their youth group started. In Klong Pon, Krabi they met with a Mee Nah group. This group uses music as a form of therapy and community service to help youth who are suffering from drug addiction. The last day there was a beach clean-up to promote the importance of community service. The youth were also encouraged to think about the connection between them and nature and what they can do for the environment to help create awareness so that the beauty it holds can be protected for future generations. The youth came back home with smiling faces and new ideas brewing in their minds and with stronger connections to other youth in the Andaman Region. 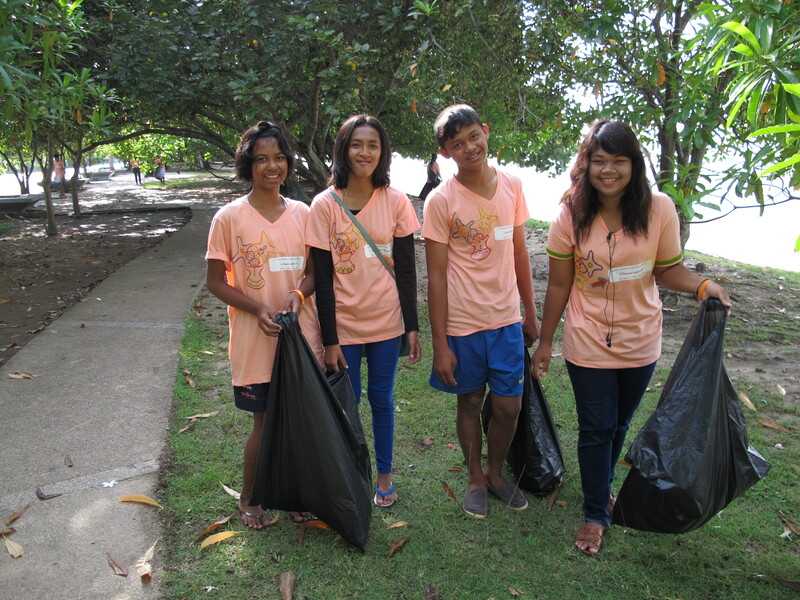 The youth seminar was supported and made possible by Andaman Discoveries, IUCN and the MFF project. The youth group also saved money to support the trip. A special thanks to our friends Dod and Ning for their help and support!